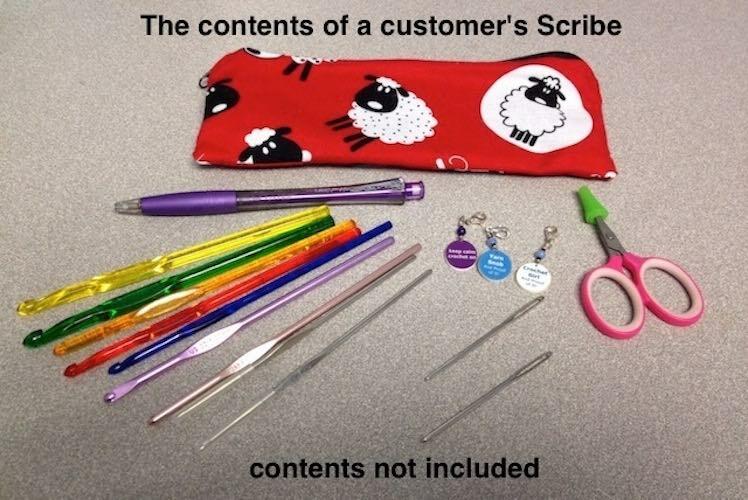 The Scribe is a small zippered bag that can be used as a pencil case, crochet hook or knitting notions pouch, a makeup brush case or a purse or desk organizer. This Scribe features letters of the alphabet. It would be a great gift for a teacher.